When you almost have the world at your fingertips, choosing which place to make memories in is surprisingly difficult! 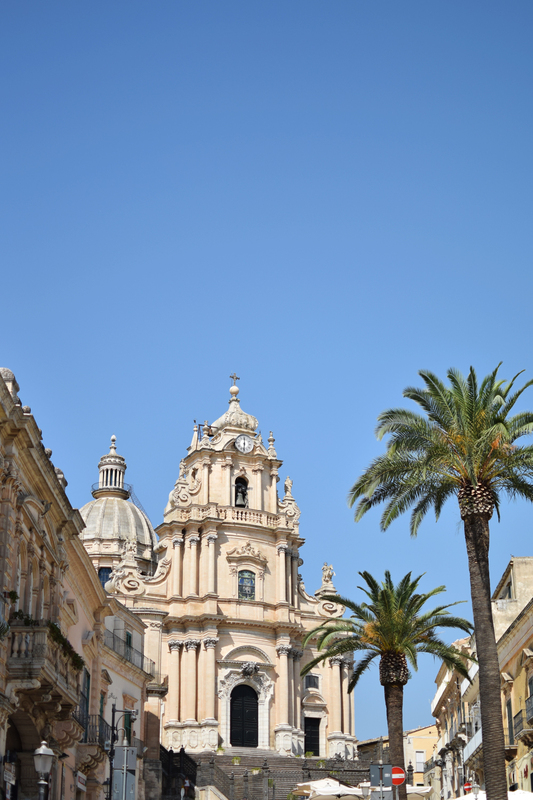 It took us forever to choose where to go for our honeymoon- we had a little wishlist of what we wanted and in the end, Sicily ticked all of the boxes. 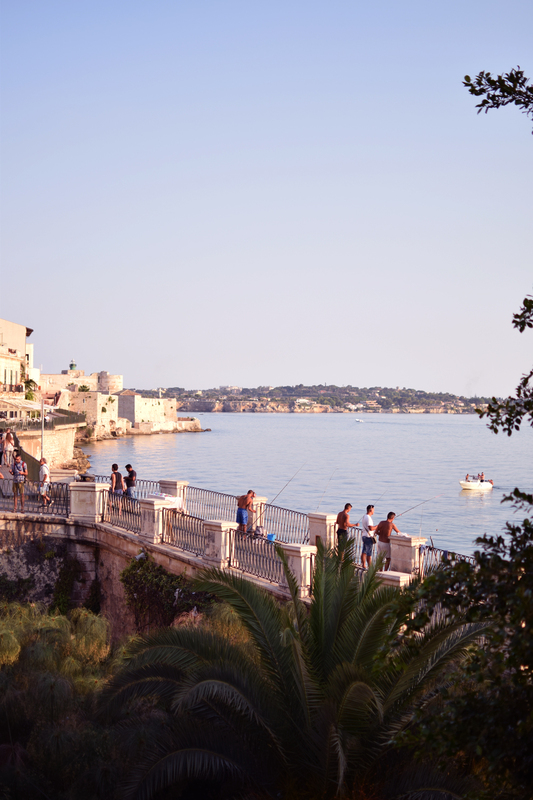 Sunshine and beaches, romance and beauty, relaxation and a little adventure; what more could you ask for? I didn’t want to draw this out over a whole load of posts, so this one is a bit of a beast! 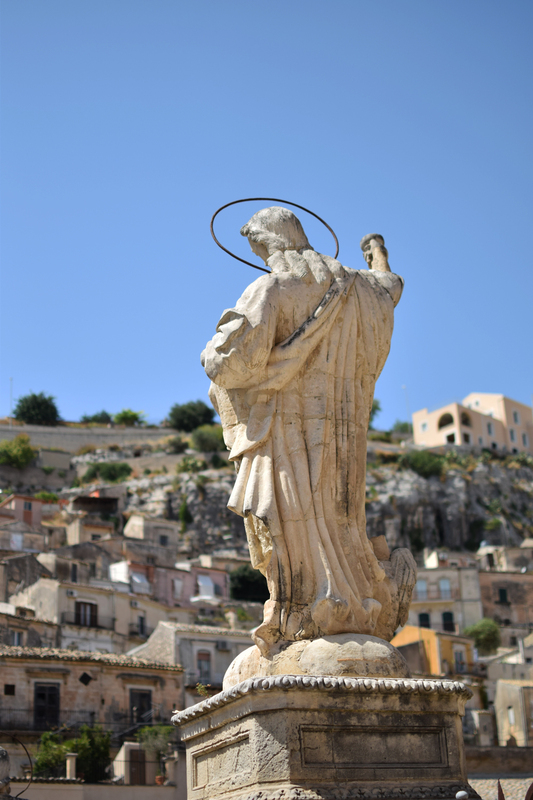 Keep on reading for all the photos and my tips on what to do if you’re in Sicily. 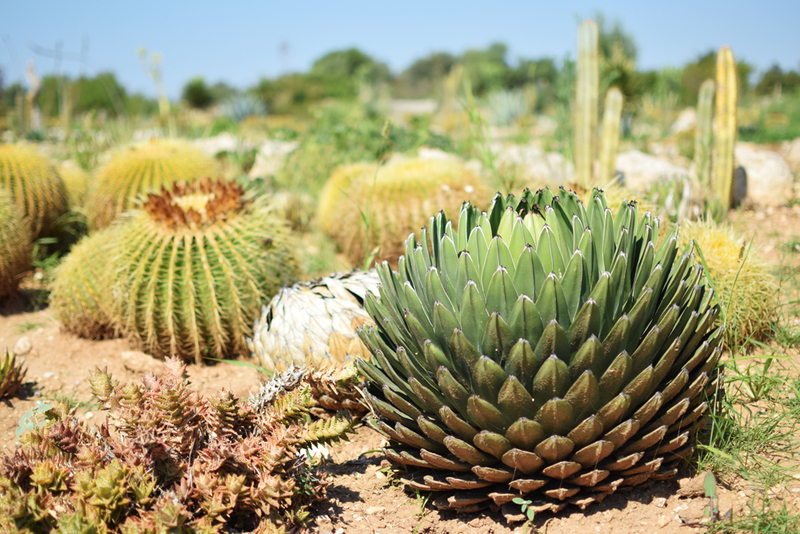 For the first week, we stayed at a beautiful agroturismo in South East Sicily. 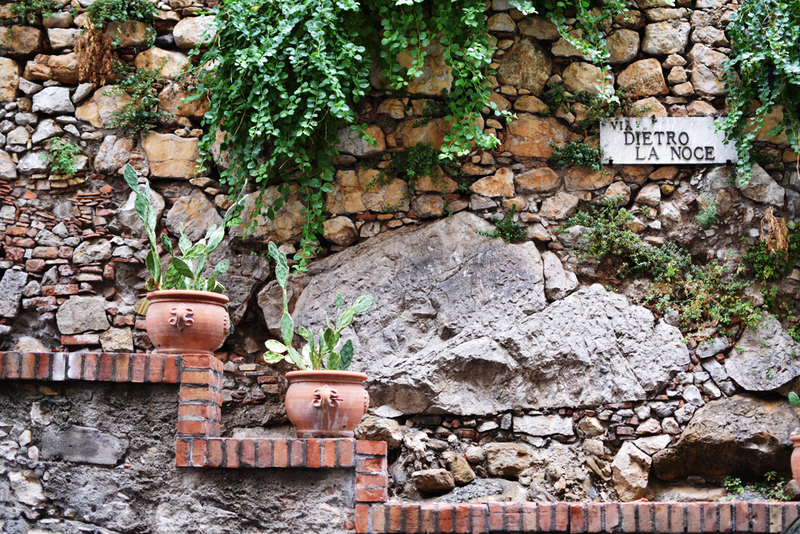 With cacti growing everywhere, stone walls and pretty terraces, I could have stayed there forever. The pool was total bliss and we spent each evening out on our secluded terrace with a glass of wine or two, talking about everything under the sun. Don’t even get me started on the breakfast – everything was freshly made that day and the owners were unbelievably kind and helpful! It was also perfectly located for us, with most major sites within an hour or so but secluded enough to feel like a retreat. We hired a car specifically so we could explore a little bit , and I’m so glad we did. All the Baroque Hill towns were stunning, with grand piazzas and dramatic buildings, winding alleyways and cafes on every corner. We spent every day stopping for coffees and gelato.! 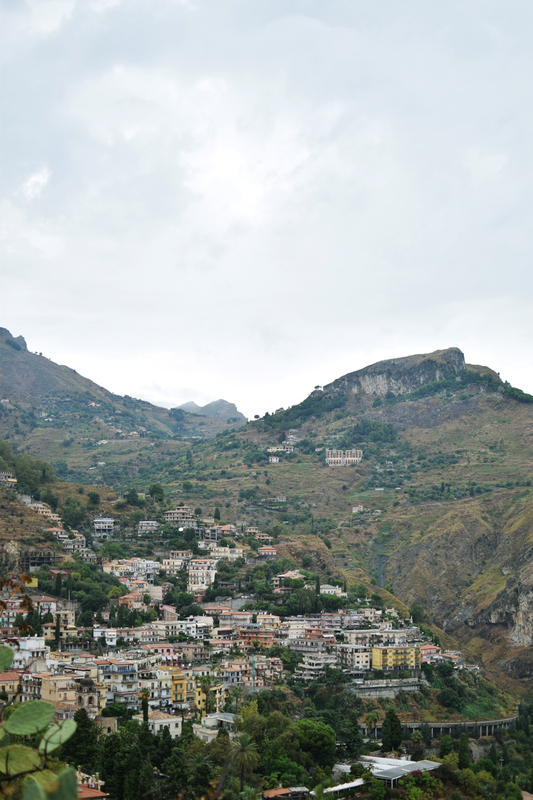 For the last few days, we headed up the coast to Mount Etna, spending the day in Taormina before heading to our hotel. You can see how much the landscape changed- it was like a totally different country! It rained and rained for the last two days so we took full advantage our suite, with lots of bubble baths in between staring to see whether the summits of Etna were peeking out from the clouds or not. Even in the rain it was stunningly atmospheric and romantic. If only it had been cold enough to pop on the log fire! 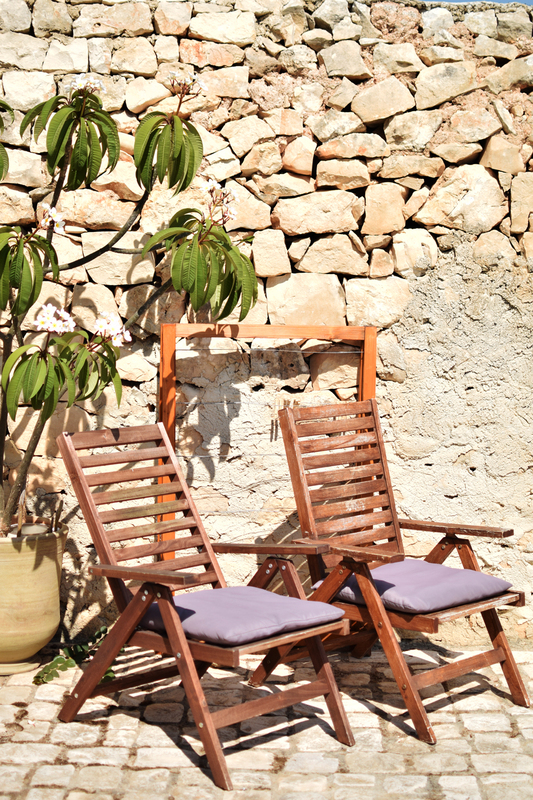 Stay at an agroturismo– Ignore the hotels, and head out into the countryside! 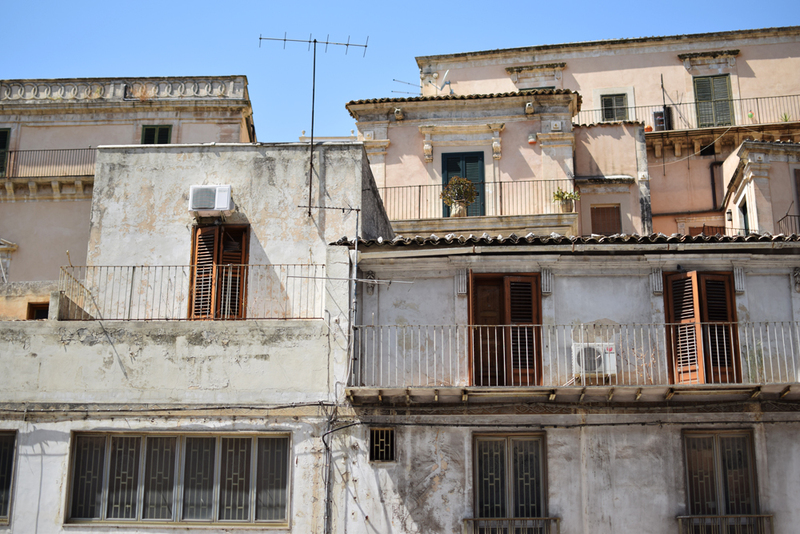 Ours was as pretty as the most luxurious of hotels but gave us the chance to find out out more about the ‘real’ Sicily, with handmade food, local produce, and a mine of local knowledge (at a fraction of the cost). We stayed at Dimore Del Valentino, near Sampieri in the South East of Sicily. Try Pasta Alla Norma – a Sicilian speciality with ricotta and aubergines that was so good. We had ours at Ristorante Tiramisu in Taormina. 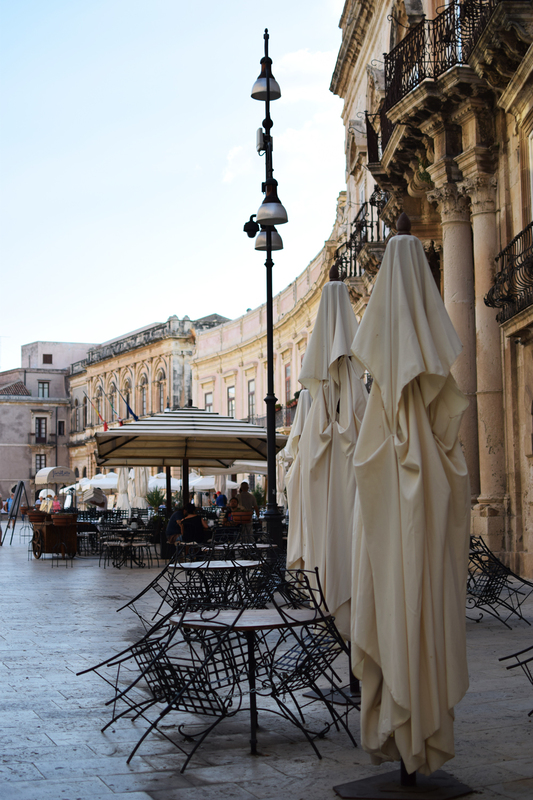 Sit in a cafe as the sun sets in Ortigia – one evening we headed to the Piazza Del Duomo and watched the whole world turn golden as the sun sets. The white stone buildings and marble pavements glowed gold, people started playing music and a wedding came out of the Catedrale- one of those magical moments. Don’t forget the Cannoli – Because a Cannoli from Caffe Sicilia in Noto will beat any other sweet treat on your trip. Seriously, I’m still dreaming of it! 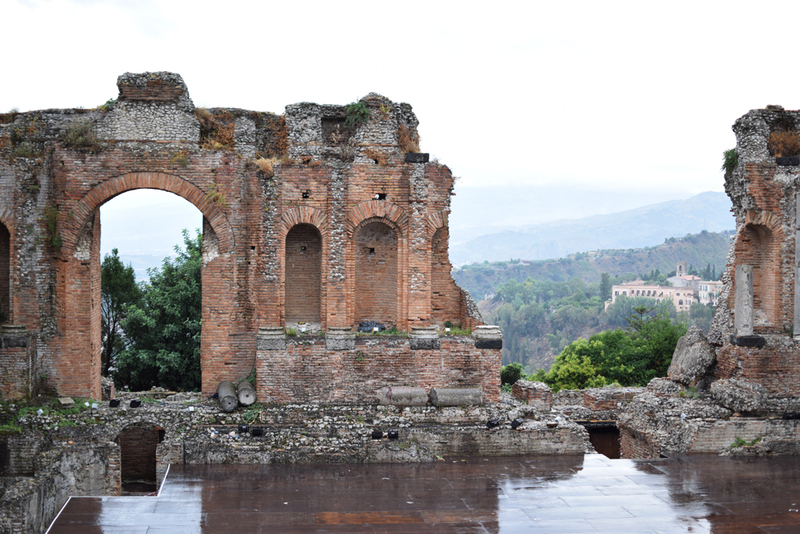 Climb up to the Teatro Greco in Taormina – My husband was a bit reticent about this as the entry fee is kind of steep at 10 Euros each, and being from Cyprus he has already seen one or two Greek Theatres in his time! But the location of this is unbelievable- views are incredible and it was truly awe inspiring, even in the rain! Sicily was exactly as I expected it to be. Full of loud friendly people, busy towns with winding alleys and narrow streets, romantic corners and incredible views. We took so many photos and I can’t really even begin to show you all of it (although if you follow my instagram, you will have seen more photos of where we stayed and what we got up to!) 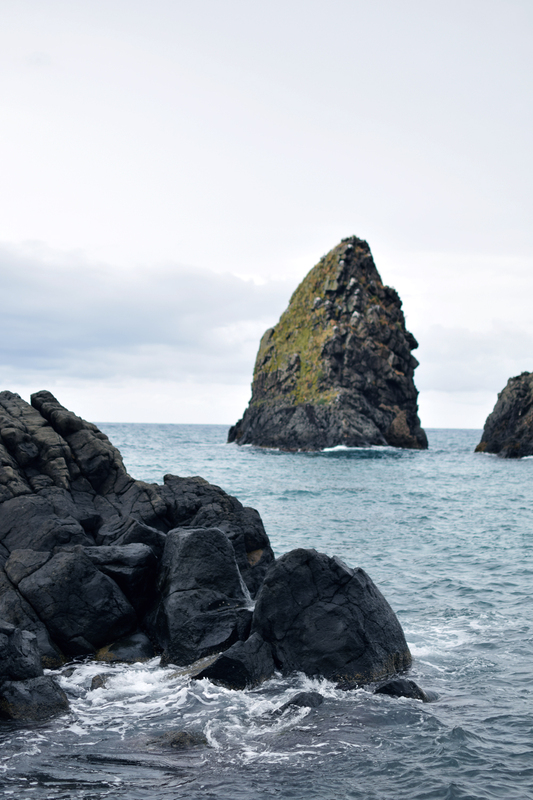 It was love, and I can’t wait to go back – there’s a whole other side of the Island to Explore! Maybe we’ll even manage to see Etna properly next time!